It took nearly two rounds, but the Pitt football team finally saw some recognition in the NFL Draft Friday night when the Minnesota Vikings selected offensive lineman Brian O’Neill with the 62nd overall pick. This is the culmination of a successful three-year career with the Panthers for O’Neill, where he established himself as one of the most productive Pitt linemen in recent years. 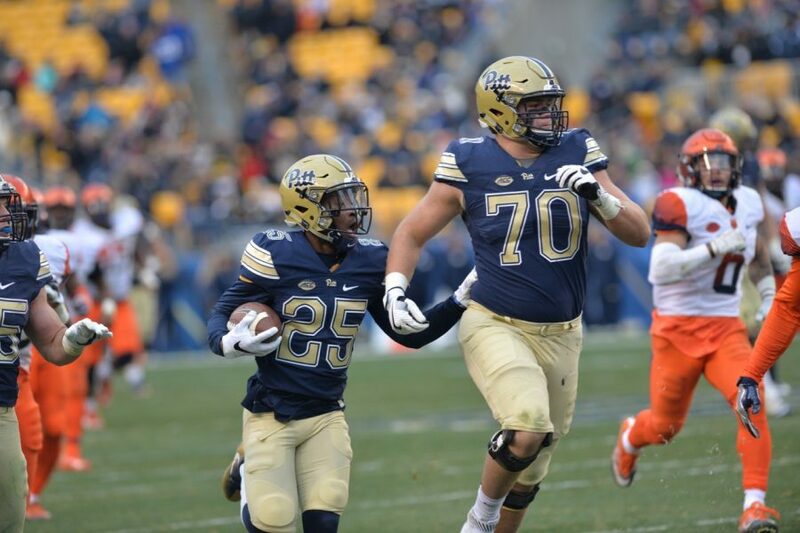 O’Neill began his time at Pitt in 2014 redshirted as a true freshman. He played tight end his freshman year before switching to right tackle his sophomore year, and later from right tackle to left tackle this past season. O’Neill received several notable awards during his career at Pitt, including second team All-ACC honors in the coaches vote and third team All-ACC honors in the media vote — both during the ‘16-’17 season. Sports website SBNation.com also chose O’Neill as its 2016 “Piesman Trophy” winner, given to a lineman who does unsuspecting things for the position such as pass, catch or throw. The Panthers often utilized O’Neill’s deceptive agility via trick plays, in which he accumulated three rushes for 39 yards and two touchdowns over the course of his career. Still, the Vikings saw something in O’Neill, and he will continue to bulk up to handle NFL-sized defensive ends. Quarterback Case Keenum should feel comfortable in the pocket with O’Neill’s quick feet working to protect him.